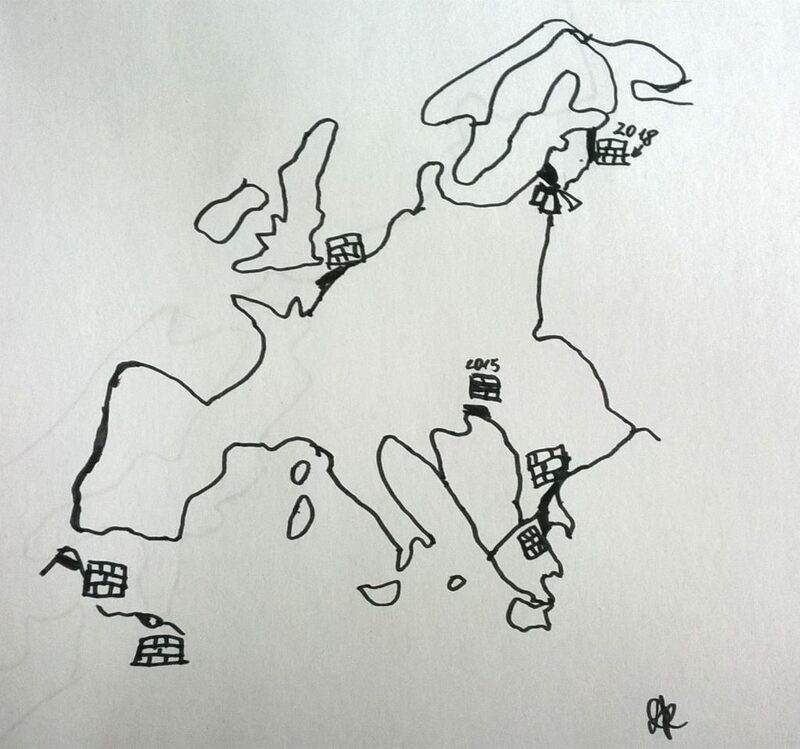 Schengen (non-)borders: if you like it then you shouldn’t put a ring on it! I′d like to share a link to a collection of photos from Europe′s ′peaceful borders′. Of course, let’s not forget that this comes at the expense of neighbors beyond Schengen area. But in any case, borderless life makes a huge difference. This was one thing I loved about living in Luxembourg – that there are no borders in any direction (my older articles in Lithuanian on this topic: about borderless travel in Scandinavia and in Luxembourg). Let′s hope these borders will stay that way. This entry was posted in Comics, Travel blog and tagged borders, politics, schengen, travel on 2016-03-08 by Daiva. Are multiple languages in public space an issue? Not in many countries. But in Lithuania there is an ongoing battle over some buses and street signs, which, in addition to Lithuanian, give translations in Polish. A law in Lithuania obliges all public signs (streets, institutions, etc.) to be in Lithuanian. The mainstream interpretation is that this implies they have to be in Lithuanian only. This entry was posted in Politics and tagged bilingual, cities, politics on 2011-02-04 by Daiva. The ancient town of Hebron (West Bank) once looked very promising. Its ancient Jewish community, more or less continuously living in the city, which claims to host the tomb of Abraham (considered both the first Jew and the first Muslim in history), had many things to share with its Arab neighbors. For example, one prayer house, built by Herod, used to serve both. This entry was posted in Travel blog and tagged architecture, cities, conflict, hebron, history, israel, politics, travel, west bank on 2010-05-05 by Daiva. Tel Aviv is a very colourful city with various spaces. Some of these spaces feel more bourgeois, others feel cosy and simple. Therefore the city is a good playground for people who like to make some kind of contribution to the way the city looks like. South Tel Aviv, where I live, is especially rich in street art. This entry was posted in Travel blog and tagged art, cities, graffiti, israel, politics, tel aviv on 2010-01-23 by Daiva. I’m back from Serbia, where I went for my summer school (it was a part of the programme). We went there to study how various aid from international donors impacts (or not) media development. What we saw was, however, different than expected. Most of donor support went to Belgrade. Many people we interviewed in the public radio never had any post-university training, except for the Hungarian service people, who were trained and given support from Hungary. Overall, I really loved Novi Sad. It reminds me of Pecs in Hungary actually. It’s small (everything is more or less within a walking distance), cosy and lively. 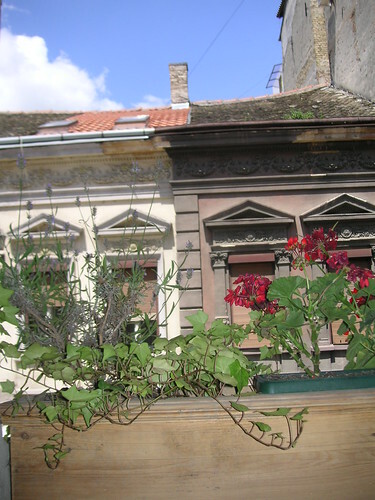 This entry was posted in Travel blog and tagged architecture, belgrade, cities, culture, nato, novi sad, politics, serbia, travel on 2009-07-12 by Daiva. This entry was posted in Events, Travel blog and tagged activism, japan flash mob, politics, tokyo on 2009-03-21 by Daiva.